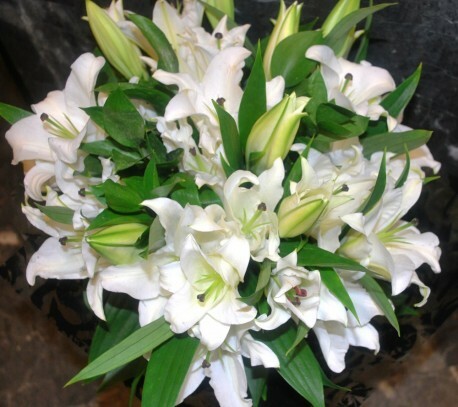 Elegant and timeless a hand tied bouquet of white oriental lilies dressed with striking foliage. This bouquet can also be presented in pink oriental lilies if preferred. Please specify at the time of orderding.